St. Peter (checking Steve’s name off on his iPad): Go on in, man. We’ve been waiting for you. We’re glad you’re here! We’re sure glad you were with us, Steve, and that you brought us so much with your unique talents. I’m writing this on my three-month-old MacBook Pro. 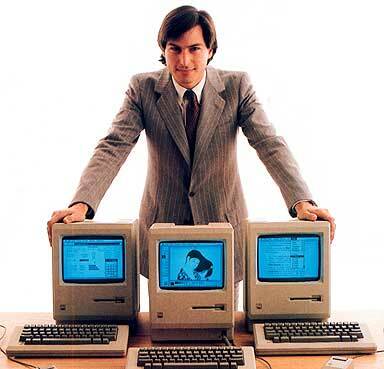 My life would not have been anything close to what it is without the vision and passion of Steve Jobs. There are millions of people like me out there now. We should all strive to bring even a little of that kind of vision and passion to bear in our own lives. I’m sorry to see you go, Steve, but I know that you were in great pain. Now that pain is gone. May God be with you, and may He comfort your family in this time of their loss.